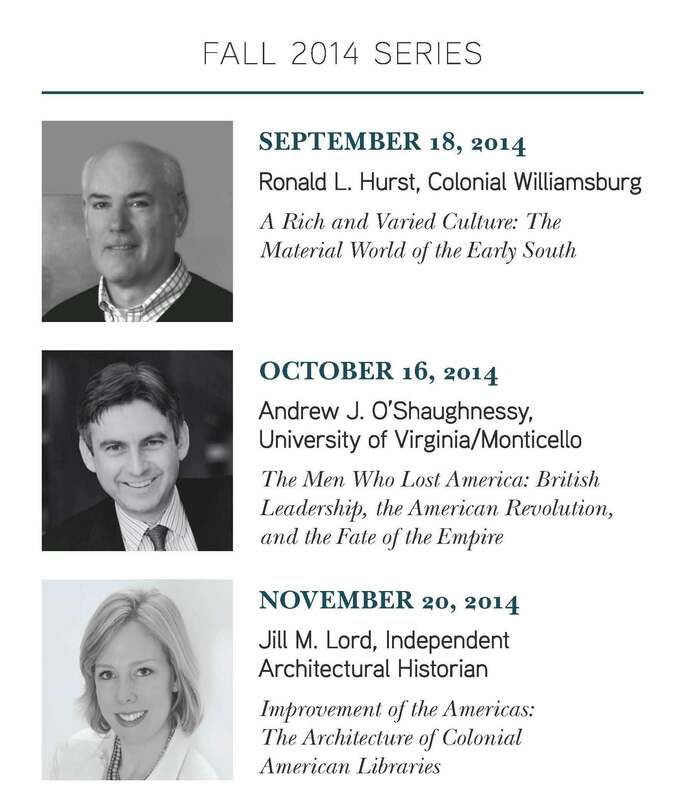 Wrapping up the inaugural year of the Distinguished Speakers Series, Drayton Hall is pleased to welcome architectural historian Dr. Jill M. Lord. Lord holds a PhD in art history from the Graduate Center, City University of New York, and a MA in architectural history from the University of Virginia. She has taught art history at Hunter College and Brooklyn College. She has lectured at the Mount Vernon Hotel Museum in New York City, Muscarelle Museum of Art, College of William and Mary, Salve Regina University, and the Georgia Institute of Technology. Lord’s presentation, “Improvement of the Americas: The Architecture of Colonial American Libraries,” is sponsored by Stephen and Laura Gates. Held at South Carolina Society Hall in downtown Charleston, the series is free to the Friends of Drayton Hall and their guests (RSVP is not required), begins at 7:00 p.m. (doors open by 6:30 p.m.), and is followed by a dessert reception. Please contact Tara White, development events coordinator, at 843-769-2627 with questions or for information about sponsorship opportunities.